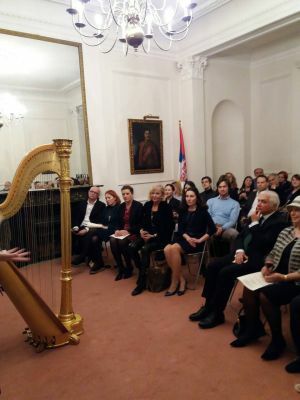 A concert of the harpists of the “Mokranjac” Music School from Belgrade, the oldest music school founded in 1899, took place in the premises of the Embassy of the Republic of Serbia in London, on February 9. The guests of the Embassy had the opportunity to meet young talents from the class of Professor Diana Sretenović - Ms Minja Stojanović, Mr. Marko Brkić and Ms. Maria Zoroja. 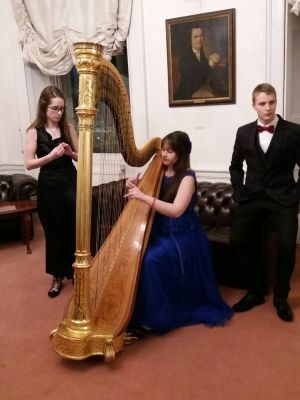 The Embassy of the Republic of Serbia wishes them a lot of success and further progress in their music career.